In an attempt to automate the whole process we discourage phone calls. We are also experiencing unusually high traffic on our lines, therefore the preferred mode of communication is email. 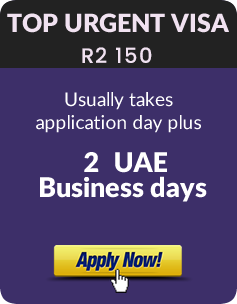 All documents and payment must be received by 12 noon on application day, otherwise the next business day becomes the "Application Day" Also, take note that visa processing time is approximate and may change significantly during festive periods and when there are public and religious holidays in both countries. You'll be in Good Company Too ! "The visa service was flawless - Excellent Support, Great Customer Service and Timeous delivery"
"Positively Outrageous Service - Well Done"
"I highly recommend them. There service level was outstanding; their response was incredibly swift and efficient. They were a complete pleasure to deal with, taking away all the hassle and making the process so seamless and easy. I will definitely use them again." "World-class service - They are Professional, Supportive and Fast !" 'Visas4dubai' is not the governmental institution or affiliate of it. The UAE Embassy does not issue any visas. 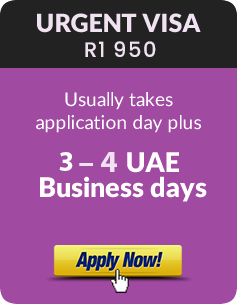 You can only apply for a Dubai visa via a sponsor. 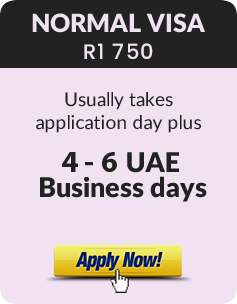 'Visas4dubai' is a sponsor who may apply for a visa on your behalf. Since the UAE embassy does not issue any visas, there are no visa forms available on the government website - whether for free or not. There are also several benefits in using a sponsor like us, for example, you can fly any airline, you do not need to supply bank statements to prove that you are able to sustain yourself and neither do you need an invitation letter.